All ProTalk® Radios carry a 2 Year Factory Warranty. ProTalk® Radios are the toughest, most reliable radios and we back them that way. 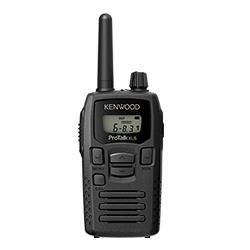 You know the name Kenwood is synonymous with Exceptional Audio Quality. ProTalk® Radios produce Extremely High Audio Quality that is unmatched in the Industry. Water/Dust IP 54/55 Rated for shock, rain, humidity, salt, fog, sand and dust. Our Die-cast Metal Chassis provides Excellent Durability. ProTalk® Radios meet Military Specifications 810, C, D, E and F.
Recommended radio for Auto Dealers.